"The diva of demolition....MISSSSSSS FRRRITTTTEEERR!" 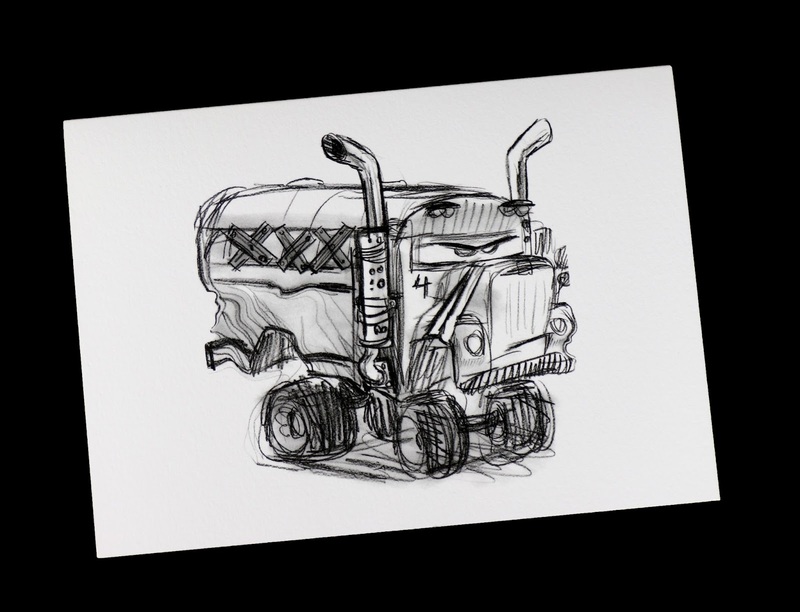 Love the fan favorite Cars 3 character Miss Fritter? Then you'll probably appreciate this post! Today I'm taking a look at a super cool card sent to me by one of my good friends in the Disney community, freelance Artist Jerrod Maruyama (thanks again Jerrod)! 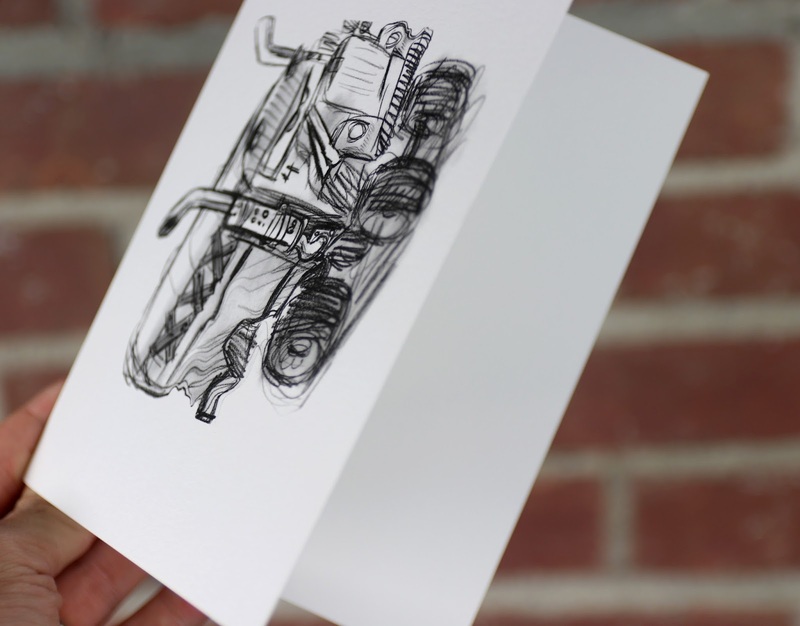 This card is only available at the Pixar Studio Store in Emeryville, CA and features some really fantastic pencil sketch concept art of everyone's favorite deranged school bus (which I believe is by Pixar artist Matt Nolte, but I'm not 100% on that; no artist is credited on the card). 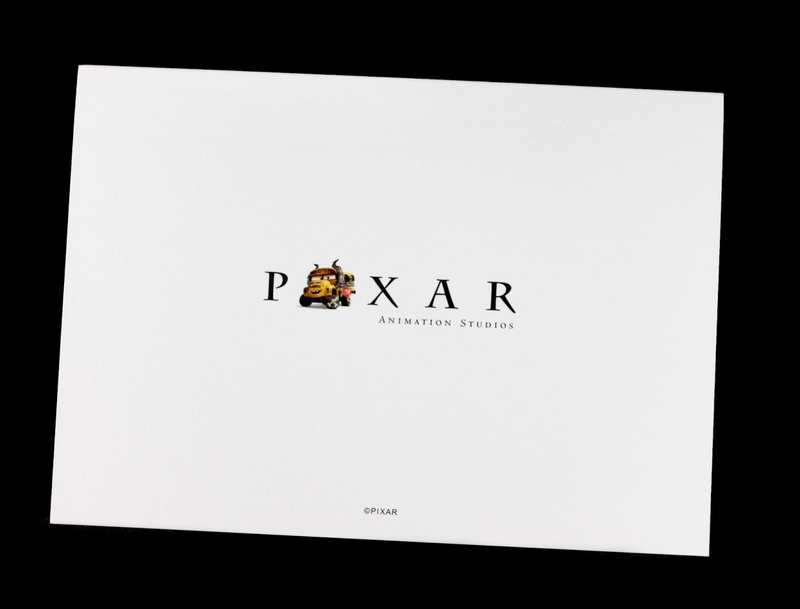 The inside of the card is blank and the back of the card includes the Pixar Animation Studios logo with Miss Fritter in replace of the "I"! Come on, you just gotta love it. That's really it with this (short and simple), but you know anything from the Pixar Studio Store is pure gold for me! What are your thoughts? Any insights into who the artist is? Shout it all out in the comments below.